Buy the Book: Designing Better Maps: A Guide for GIS Users is available in print or as an e-book ($49.99). You can buy the book from online retailers worldwide, at esri.com/esripress, or by calling 1-800-447-9778. Outside the United States, visit esri.com/esripressorders for ordering options, or contact your local Esri distributor at esri.com/distributors. 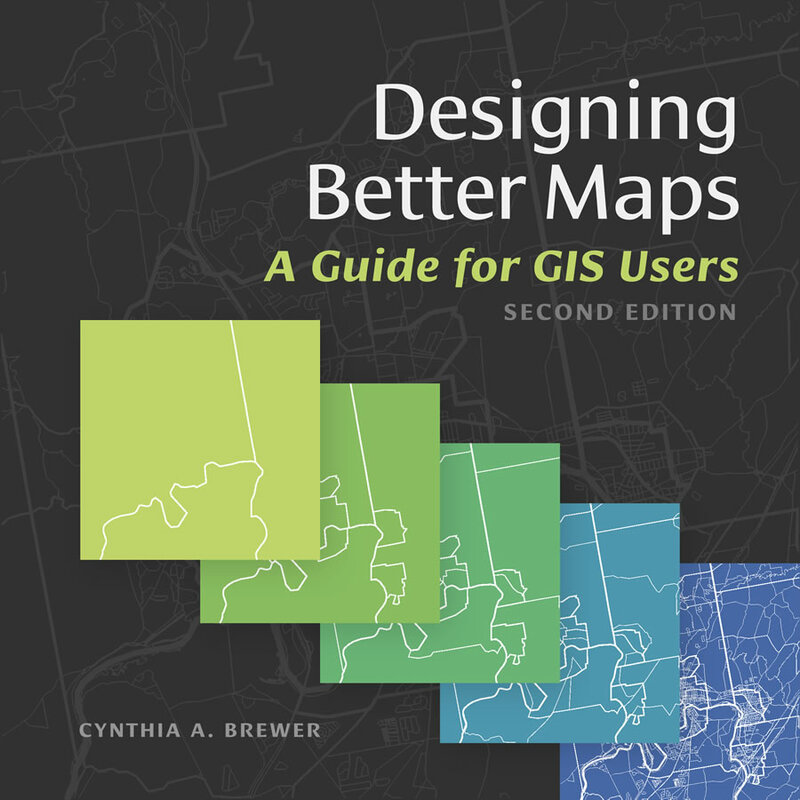 Cartographer Cynthia A. Brewer’s new edition of Designing Better Maps: A Guide for GIS Users, published by Esri, guides mapmakers through the process of designing visually pleasing and easy-to-understand maps. “This book helps you develop the graphic skills you need for mapmaking,” said Brewer, a professor and head of the geography department at Pennsylvania State University. Learn to design maps that better communicate your message. 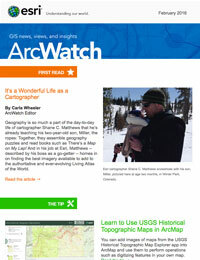 In writing the book, Brewer drew on 30 years of experience teaching and working in map design. The book focuses on cartography basics, including layout design; working with basemaps, legends, scales, and projections; labeling maps; selecting colors and type; and customizing symbols. In this second edition, Brewer has added a chapter on publishing and sharing maps and devotes a section to her ColorBrewer application, an online color selection tool that any mapmaker can use. ColorBrewer is now part of the new Esri ArcGIS Proapplication. The large selection of color maps in the book are highly instructional, with examples of poor or mediocre maps being compared to well-designed maps. For example, there are two maps of Waterton-Glacier International Peace Park, located in the United States and Canada. One map is what Brewer calls “excessively decorated,” with a huge scale bar, illegible typeface, and other elements that distract from the map. The second map, meant to showcase vegetation types, is simple and designed to make the most important information stand out.